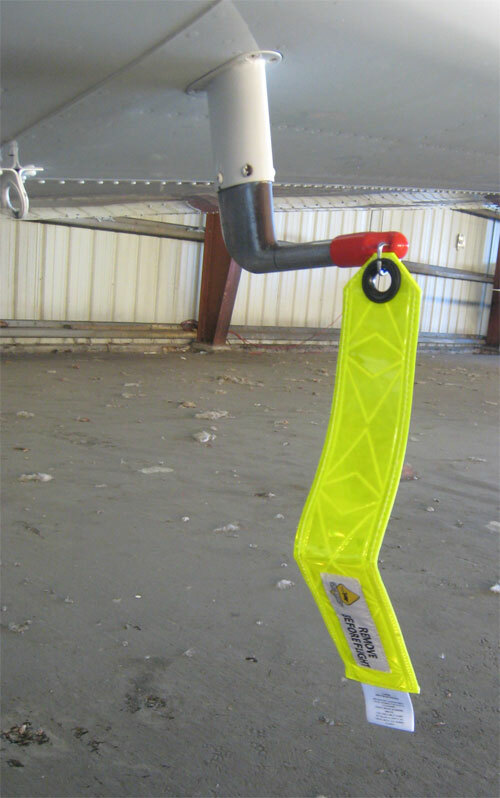 Forgetting to remove a faded, dull and worn-out pitot tube cover can jeopardize the safety of you and your passengers. The Plane Sights 5/8” inside diameter vented pitot plug with its unmistakably conspicuous Remove-before-Flight Streamer provides the perfect easy-on, easy-off solution, while protecting against insect and water contamination. The blazing lime green colour of this foot-long, ANSI-compliant and weather-resistant reflective streamer stands out equally well in daylight or darkness under all weather conditions, so it can’t be missed. The plug is attached to the streamer’s rugged black oxide coated zinc grommet with a galvanized steel ring, and is vented to prevent pressurization damage to the pitot static system. This 5/8” Plug Fits Aero Commander, Twin Beach, Bonanza, Cessna 300/400/500, Conquest Series, Grumman, Lear, Mooney, Piper Cheyenne and Navajo aircraft. Rust-resistant, fade-resistant, wear-resistant and, like all Plane Sights products, guaranteed for two years!